Light, highly breathable and versatile, these Bridgedale Multisport Cushioned Merino Wool Socks are designed to be equally useful whether your chosen activity is running, cycle riding or gym work. 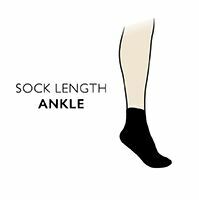 The socks are made from a sophisticated mix of fibres, with natural merino wool and Endurofil, both of which are thermally effective and able to wick moisture. Endurofil also improves durability and wash resistance. The design incorporates a mesh upper, which encourages cooling and fresh air circulation, whilst cushioning at the forefoot, Achilles, under-heel and ball of the foot provides impact absorption and protection. Hand linked toes for smooth seams help to keep blisters at bay.